At Silver Fern we create beautiful concepts for your living spaces. We give you the most value for your investment in any environment. Silver Fern is in business to improve the way you live. Whether that means building a new addition or making your current home fit your lifestyle even better. Silver Fern combines decades of experience and a personal commitment to quality and professionalism. Whatever the size of your project, we will assist you through every step of construction: coordinating with our design specialists, procuring permits, helping you select materials and supervising our trade partners to ensure a high standard of quality. We make it a personal point of pride to deliver high quality results for our customers at a reasonable cost. Silver Fern strives to maintain long and loyal relationships with our tradespeople and suppliers. Silver Fern and all our trades are licensed and insured. They share our commitment to courtesy, quality, communication and good honest work. 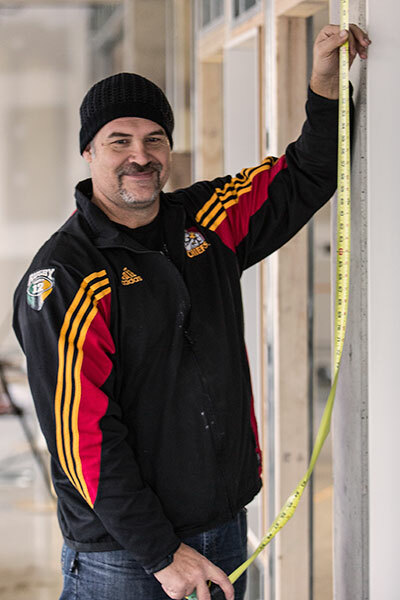 Anthony Joyce – Owner Silver Fern Ventures inc.
Anthony started working in construction in New Zealand before moving to Canada and establishing Silver Fern Ventures Inc. in 2000. He has built a solid reputation for providing professional, reputable, and reliable service. He believes in the uniqueness of every client, their project requirements, budget and style. Take the time to read our testimonials or contact us for a list of references and hear what our clients are saying.